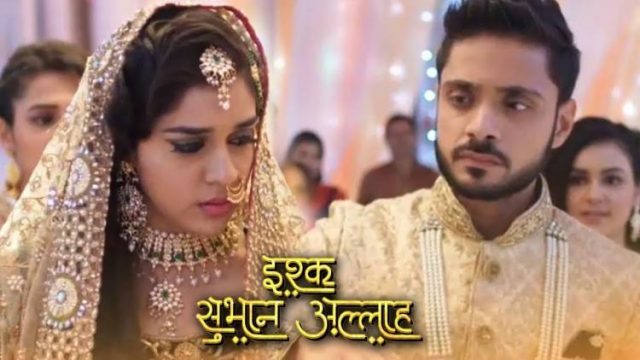 In the latest episode of Ishq Subhan Allah 20th November 2018 Zara shifts with Kabir in a room. The update of the Tv serial begins with Zeenat asks to Ruksaar that is she recognizes her? She asks what did you know who I am? Ruksaar asks that who is she? Ayesh asks that if she knows her? Ruksaar runs and hides behind to Kabir. She said that I do not know. This is all are stunned. Ruksaar said that this is Kabir and Zara. She sees a gift and goes to it, she runs from there. Kabir asks to her that what is all this? Ayesha says actually she has the mental illness of forgetting. Kabir said Amnesia? Zeenat said yes. Zeenat said that she is remembering her childhood. I thought she would remember you but… Kabir says but how come she recognizes me and Zara too? Zara replied that we should ask her. She brings food for Ruksaar. she asks Zara that if she will become her friend. Because of this incidence, she feels so happy. Ruksaar promises to Zara that they both were solving all the problems. Zara nodes and sites with her, she said that you have to eat something, she makes her eat with her hands. She feels so happy to get this type of friend in her life. After this Zara said that let me tell you a secret that no one knows this. She told to her that this is not Kabir but Kashan. To know this she said that no, Kabit told to her that I am Kabir. Ruksaar says that he is Kabir, she brings newspaper and shows headlines that say, Zara and Kabir. Kabir sighs and leaves. Kabir asks that doctor if there is a way to treat Ruksaar? she is behaving like a child. The doctor said to the family that they have to patient, it will take time. Precap: Ruksaar is hanging on wall plank, she slips and falls down. Zeenat screams for Kabir to catch her.